Pfun Pfacts: Locals refer to Pflugerville as being located between a Rock and a Weird place, describing its Central Texas location between Round Rock and Austin (keep it weird). Pflugerville was founded in 1860 when William Bohls established a general store and post office in his residence and named the town in honor of Henry Pfluger. The German name “pfluger” translates to “ploughman”. The town incorporated on April 4, 1970 with a population of 549. During most of the 1980s, new development made Pflugerville one of the fastest growing cities in Texas. Estimates from the late 1980s were as high as 3,900 and Pflugerville more than doubled in size by the 2000 census. Pflugerville now boasts having the third-largest growth rate among American cities with at least 50,000 residents. 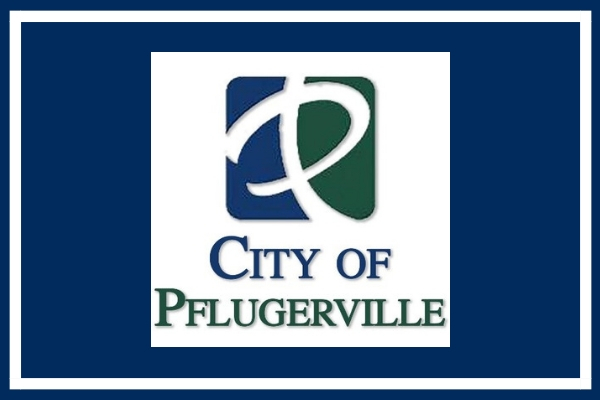 In addition, Pflugerville was named among “America’s Best Places to Live” by Money Magazine for the past several years. No doubt it attained this rank because of its recreation opportunities, festivals and affordability. We’re Pfamous! Pflugerville got its claim to fame when its high school’s football stadium was used in filming of the TV show “Friday Night Lights” as home to the Dillon Panthers of “clear eyes, full hearts” fame. Now it’s drawing interest from another big crowd – people with jobs in Austin, 16 miles away. The town is one of the fastest-growing in Texas, and families are drawn to the affordable homes, strong school system, and water sports at Lake Pflugerville. And Pfestive! Why are Pflugervillians so Pflipping happy? I mean if a word beginning with “F” sits still too long, they will put a “P” in front of it. 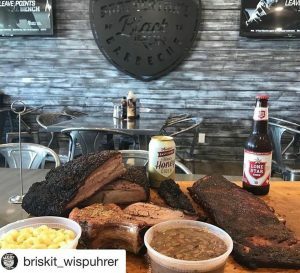 For example, if you Pfancy a Pfest, Pflugerville’s got ’em: there’s the Deutschen Pfest, the city’s annual German festival, which is held the third weekend in May, a summertime Pfirecracker Pfestival, the Pfall Chili Pfest, monthly Pfirst Pfridays and the weekly Pfarmers Market, all held around its small downtown. Pfurry Pfriends And let’s not forget our Pfurry Pfriends! Pflugerville also has two dog parks, Harris Ridge Dog Park and Falcon Pointe Bark Park, as well as many pet friendly trails and restaurants. And if that is not enough excitement for our pfurry pfriends, there is a Pfurry Splash Party every fall. An active Facebook Group, Pflugerville Lost and Found Pets, is an excellent way to reunite lost pets and owners. Pfenomenal Parks There are 28 developed City Parks, over 40 miles of trail, 500 acres of parks and 528 acres of open space within Pflugerville’s city limits. Many of the parks offer a full range of amenities from pavilions, gazebos and playgrounds to pools and picnic areas. Pfluger Park is along Gilleland Creek. The park includes the Fallen Warrior Memorial, trails, a grove, playground, volleyball courts, basketball court, picnic areas and large shade trees. Pfluger Park is also used for music events and festivals. The Northeast Metro Skate/BMX Park is 349 acres. It is a multiple-use recreational area with soccer fields, multi-use fields, baseball fields, a cricket field, basketball court, tennis court, and a skate park. Amenities include restrooms, playgrounds, group shelters, and picnic tables with grills. The newest addition to the system of parks is The 1849 Park, a community park and sports complex with practice areas and nature areas. If you have a hankering to play in the water there is Typhoon Texas, a water and adventure park which includes a lazy river, wave pool, water slides and splash areas for little ones. 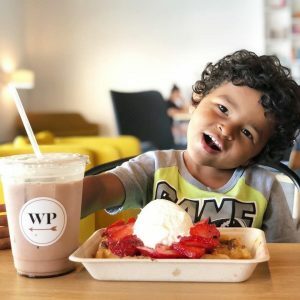 Pfabulous Pfood Options While there are plenty of pfast pfood options, there are also an ever increasing number of sit-down choices. Taste of Ethiopia, FD’s Grillhouse, Baris Pasta & Pizza, and Cheddar’s Scratch Kitchen to name a few. If it’s Mexican you are craving, check out Rio Grande, El Rincon, and Morelia Mexican Grill. T-Jins and Oriental Kitchen are good options if you’re looking for Chinese. There is also Moi Vietnamese Grill and Brotherton’s Black Iron BBQ to round out your choices. And with four new hotels planned, more sit-down options are sure to follow. 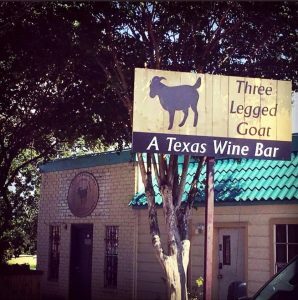 If you are just looking to quench a thirst, check out The Growler Bar or Flying Man Brewing for craft beer, The 3 Legged Goat Wine Bar for a nice local glass of wine and West Pecan Coffee & Beer almost anytime. Pflugerville Independent School District (PfISD) is based in Pflugerville. The District encompasses approximately ninety-five square miles and includes all or part of six municipalities including Pflugerville, Austin, Coupland, Hutto, Manor and Round Rock. PfISD joins local businesses including Dell Technologies, Apple, Samsung, IBM, NXP Semiconductors, Appliled Materials, National Instruments and Advanced Micro Devices as some of the area’s largest employers. Pfinally, these community characteristics have spurred growth within all facets of the community, from residential to business. Pflugerville is the only community in central Texas with both north-south and east-west highway access that includes major transportation highways I-35, SH130 and SH45. With only a 15-minute drive to Bergstrom International Airport and a 5-minute drive to the Austin Executive Airport it is a quick commute to Austin and surrounding cities. With the addition of many new retail stores, such as the ones at Stonehill Town Center, pfantastic schools, numerous recreational opportunities & Pfestivals, affordability, and an expansive tollway, this early 1960s bedroom community has developed into a bustling Austin suburb – Pfantastic in its own right!